Thought you saw Star Wars everything already? Think again. 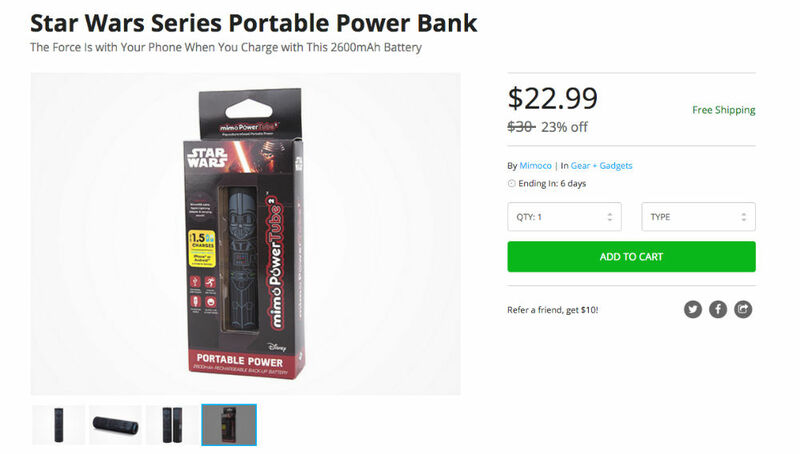 Available for $23 on the DL Deals Store, this Star Wars Portable Power Bank gives your smartphone the Force, as well as juice whenever you may need it throughout a day. Featuring 2,600mAh of power, the Darth Vader power bank offers owners the ability to portably charge a smartphone or tablet via microUSB or Lightning adapter. If you are a member of the Light side, an R2-D2 model is also available, you Rebel scum. Check out all of the features below, then follow the link to pick it up.